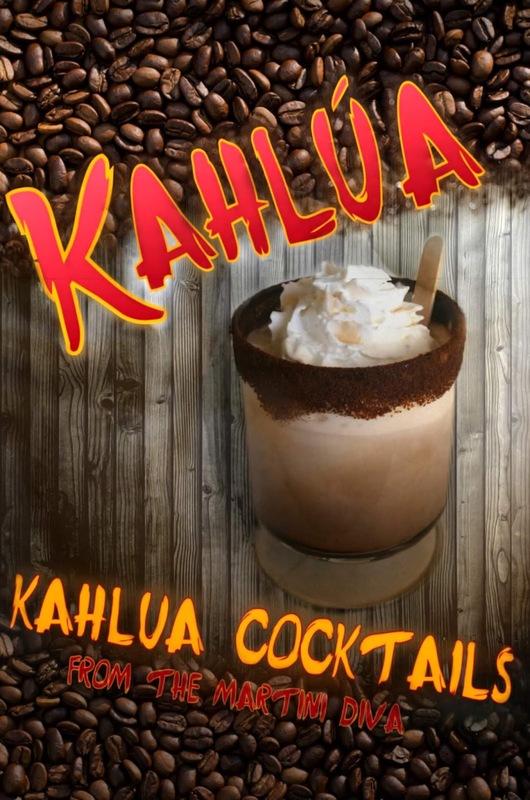 Below are some wonderful ways for you to enjoy Kahlua including my recipe for making your own homemade Kahlua and my signature recipe for the White Russian. that call for coffee liqueur are perfect for using your Kahlua. National Kahlua Day is February 27th. Though it didn't win an Oscar, An Affair To Remember was nominated for four Academy Awards, including Original Song. This was one of my mother's favorite movies, we watched it together often and my favorite part was always the piano solo that featured that title song. 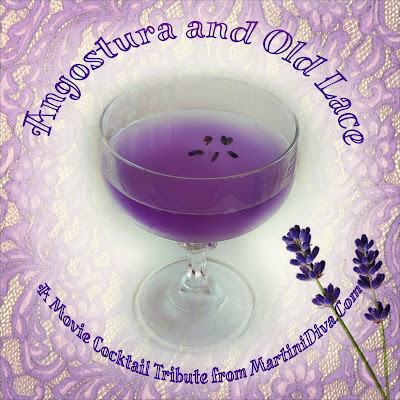 This is why I chose to do a cocktail tribute to this particular movie, to remember the great moments with my mom. 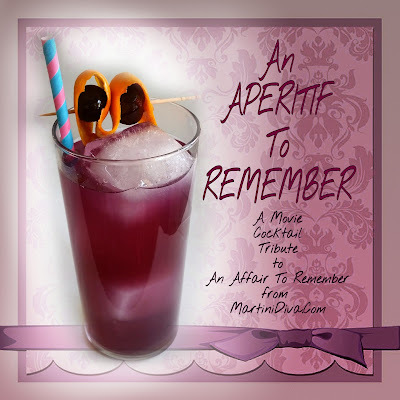 Plus, An Aperitif To Remember popped into my pun twisted brain and it was too good a movie cocktail name to pass up. 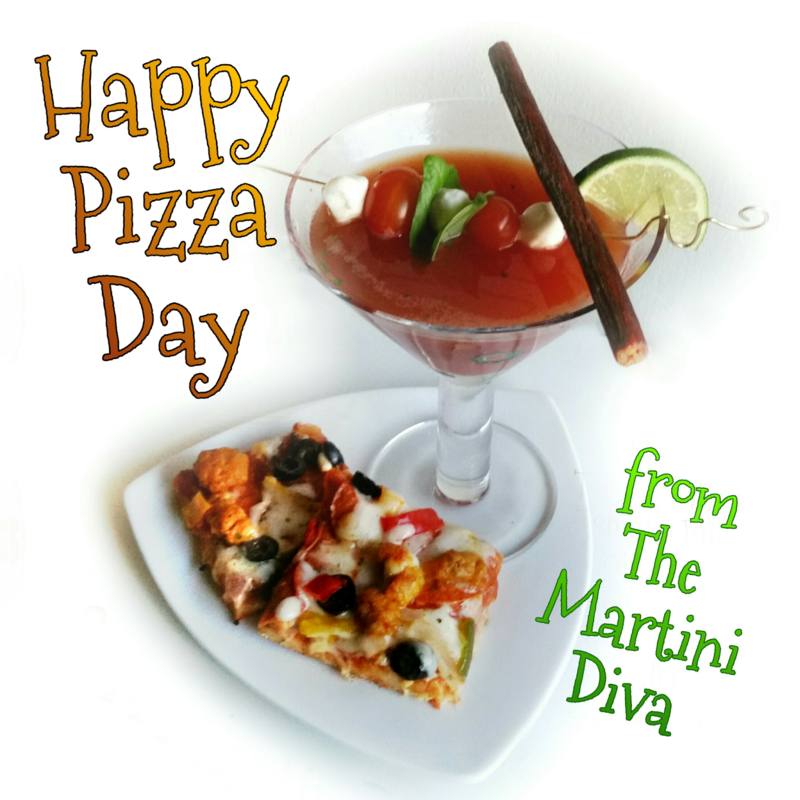 This one's light on alcohol, refreshingly fruity and sparkling! DIRECTIONS: Add the ingredients, except the sparkling wine, to a cocktail shaker filled with ice and shake until chilled. Add the large ice cubes to your glass, strain in the cocktail from the shaker then top off with the sparkling wine. 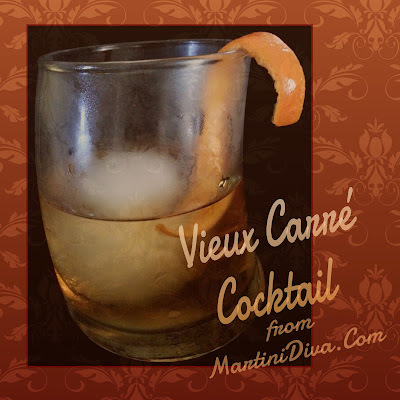 Garnish with an orange twist and a few Bordeaux cherries, add a straw and serve. ARSENIC AND OLD LACE, 1944 Cary Grant, Priscilla Lane Nominated: Not one, not a single Oscar nod, and I don't care because I still laugh at this Frank Capra movie. 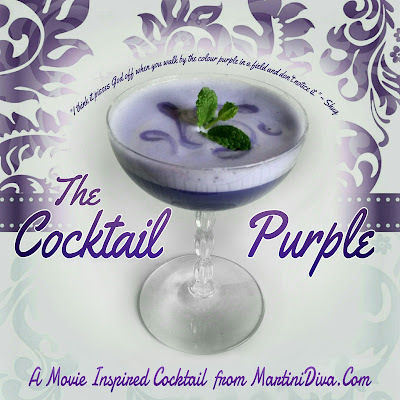 Besides I got the title pun stuck in my head and it does fit my purple Oscar party theme this year. 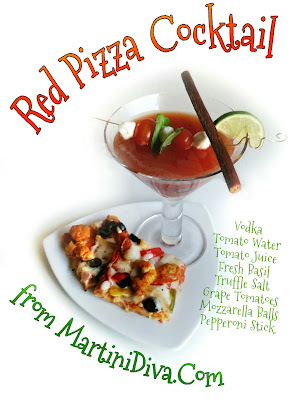 DIRECTIONS: Add all the ingredients except the ice to a blender and blend for one minute. Pour this into a cocktail shaker filled with ice and shake until chilled. 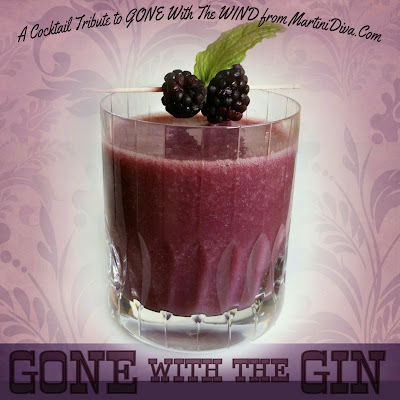 Strain into a chilled coupe, garnish with a pinch of lavender buds and serve. Bourbon is the acknowledged southern spirit, but "Gone With The Bourbon" just didn't work and "I Don't Know Nothin' 'Bout Birthin' No Bourbon"? 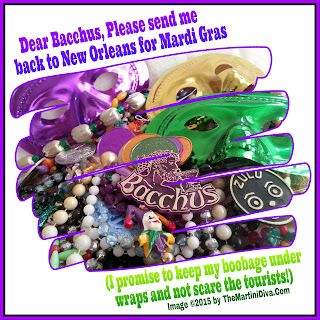 Nah, even I won't carry a pun that far! So, I gone and went with gin. DIRECTIONS: Chill your glass in the freezer. Add all the ingredients,including the ice, to your blender and blend until smooth. 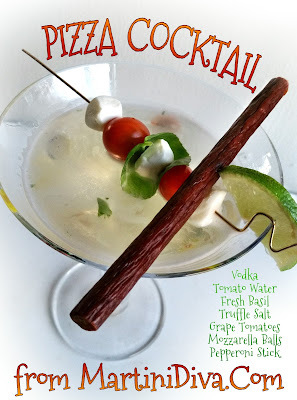 Pour into the chilled glass, garnish and serve. THE COLOR PURPLE, 1985 Whoopi Goldberg, Oprah Winfrey, Danny Glover Nominated (1986) for 11 Academy Awards including: Best Picture, Best Actress in a Leading Role, and 2 for Best Actress in a Supporting Role, Best Music - Original Song, Best Music - Original Score, Best Makeup. "I think it pisses God off when you walk by the color purple in a field and don't notice it" ~ Shug. 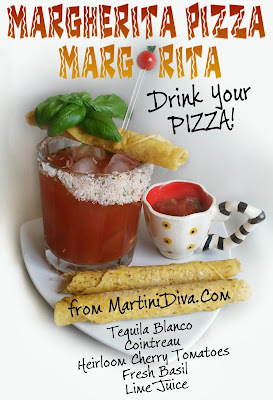 DIRECTIONS: Add all the ingredients, except the ice, to a blender and blend for one minute. (Or dry shake without ice in a cocktail shaker for 1 minute.) Pour this into a cocktail shaker filled with ice and shake until chilled. Strain into a chilled coupe. To garnish, add 5 drops of B'Lure to the foam top, drag the toothpick through the drops to create a swirled pattern,gently lay the small mint sprig on top tap the bitters on top and serve. * To make the Spiced Honey Syrup combine 1 teaspoon of Honey Farms Spiced Honey Creme with 1 teaspoon of hot water until blended. 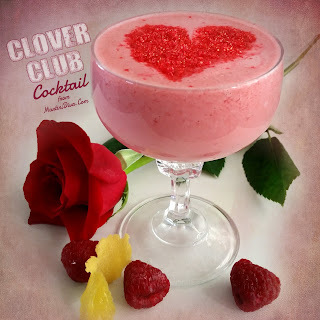 Pre-dating Prohibition, the Clover Club Cocktail was named after a men's club of the same name that existed in Philadelphia from around the late 1800's until just before Prohibition. 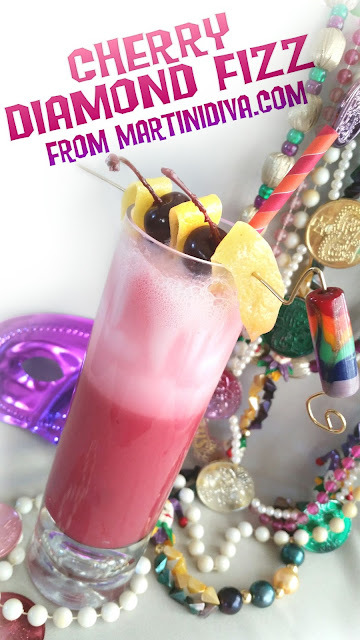 Consisting of gin, lemon juice, raspberry syrup, and an egg white, it's a decidedly pink drink, one that would be consigned to the "girly drinks" category and shunned by later generations of drinking men as a result of its "feminine" color. 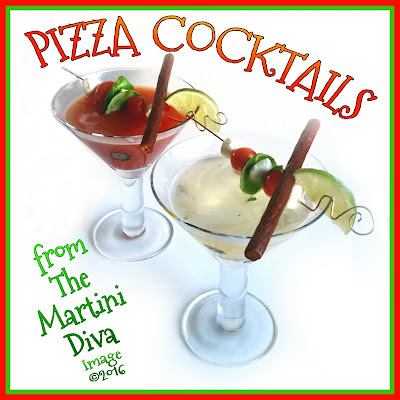 As a result of its color (and the fear of salmonella from the use of raw egg) this cocktail classic all but disappeared from the bar scene, consigned to the dusty pages of bygone era recipe books, an oddity of past potable peccadilloes. David Wondrich says in this Esquire post, "in 1934 we lumped it together with the 'pansies' -- the ten worst cocktails of the previous decade (which, that being the decade of bathtub gin and wood alcohol, is saying something). Our 1949 Handbook for Hosts tucks it among the Pink Ladies and Alexanders in the 'Something for the Girls' section." But Wondrich then goes on to say it's a cocktail worth trying and I agree. After all, it was the bespoke cocktail of a press club whose guests included the likes of Samuel "Mark Twain" Clemens, Joseph R. Pulitzer, Senator Henry Cabot Lodge and every President from Grover Cleveland to Woodrow Wilson in it's roster. With that kind of pedigree it deserves a revival. We have pasteurized eggs now, men no longer fear pink, and gin is currently the poster child of the clear spirits world. 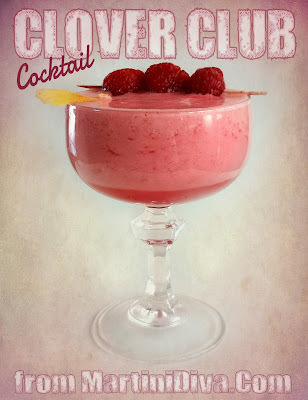 The timing is all set for a Clover Club comeback. DIRECTIONS: Dry shake the ingredients first for a good minute or two. (I cheat and use a blender for this step because I stupidly dislocated my shoulder ages ago and NEVER want to go through the resetting procedure EVER again.) Transfer the ingredients to an ice filled cocktail shaker and shake to chill. Strain into your chilled glass, garnish and serve. I even did a Valentine's Day version with a crystalized sugar heart! Rosewater is often used in Moroccan dishes as well and, when Four Roses Bourbon sent me a bottle of their Small Batch to use for a Valentine's themed cocktail, those roses and one sip of the spicy, slightly fruity whiskey sent my mind on a flight of fancy to the Middle East. 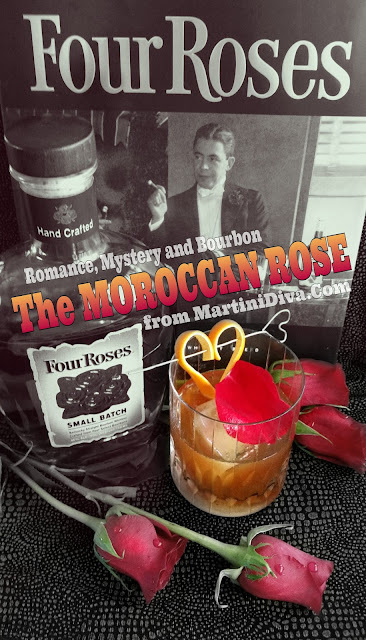 What better way to send bourbon and roses on a voyage to romance than on a vacation to the land of spicy intrigue? DIRECTIONS: Pour the Moroccan simple syrup, the orange bitters and the rose water into the glass and swirl around to coat the glass. 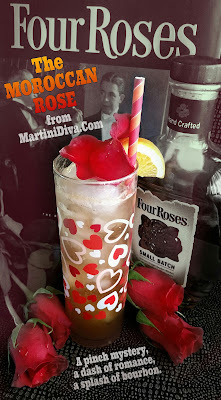 Add the ice then pour in the Four Roses Bourbon, stir several times, garnish with a single edible rose petal and an orange twist heart then serve. WANT A FIZZY COOLER VERSION? Mix the ingredients in a highball glass, fill with chipped ice, top it off with soda or ginger ale and garnish! *Moroccan Spiced Simple Syrup Recipe Ingredients 2 cups of sugar 1 cup of water 1/4 teaspoon ground ginger 1/4 teaspoon ground cinnamon 1/4 teaspoon ground coriander 1/8 teaspoon ground allspice 1/8 teaspoon ground cloves 1/8 teaspoon ground cumin Pinch of cayenne Pinch of black pepper 1 tablespoon of vodka, (optional preservative) Directions Add ingredients to a saucepan and bring to a boil, stirring constantly. Once the sugar has dissolved, immediately remove the pan from the heat and allow to cool. If you wish you can add the vodka so the syrup will keep longer. Bon Voyage and Happy Valentine's Day! 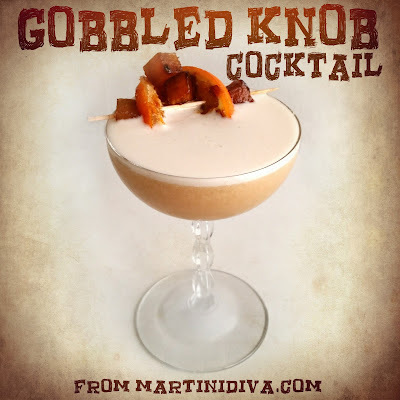 Since it was Groundhog's Day and Puxsatawny Phil looks for his shadow at Gobbler's Knob in Puxsatawny, PA, I had to do a Google search to see if there was such a thing as a Gobbler's Knob cocktail. Not one, not a gobble in the bunch. Poor Phil, nothing to keep him warm in case he sees his shadow. Whether he does or doesn't see his shadow, I've decided to correct that and give Phil and all his buddies in and near Gobblers Knob a signature cocktail, shadow or no shadow. 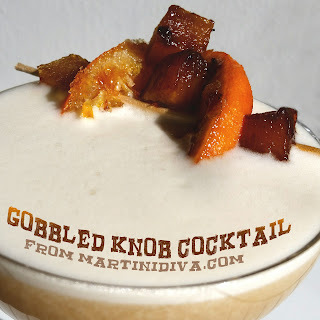 There is a Tender Knob cocktail floating around in Alcoholdom, often made with apple, sometimes made with orange, but always made with a whiskey base, either bourbon or rye. Both fruits pair well with whiskey and are winter fruits which suit the season. These gave me a good starting point for a cocktail ode to Puxsatawny Phil, his shadow and Groundhog Day. I decided to use pear, which is another winter fruit that works well with whiskey. In a playful nod to Knob and Gobbler I chose two whiskies (mainly because of their names) as my main spirit and, for the sweetener, the East Coast flavor of maple syrup. Next I added a dash of hope for spring with some rhubarb bitters. Caramelize the orange slice and pear cubes by coating in sugar and heating in a saute pan until the sugar caramelizes. Set on wax or parchment paper to cool. Add all the ingredients to a cocktail shaker without ice (this is known as dry shaking) and shake vigorously for a good minute or until the egg emulsifies and builds up a nice foam. Add the ice then shake until chilled. Pour into your chilled glass, garnish and serve. This one is good enough to enjoy no matter what day it is, sorry Phil, you'll have to share.